This version is about 50% smaller than the full one. Computers used to be so big! Now they fit in your pocket. The wonders of technology. Anyway, besides its much smaller profile, it’s gotten a bit of an update and sports HDMI connection and two USB ports. 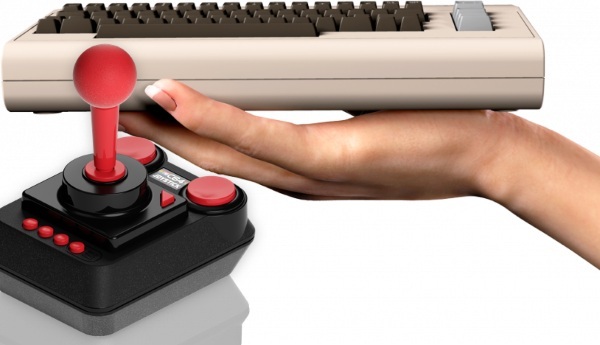 You can use them for attaching a keyboard or just a second joystick for two players. This machine works just like the one in the 80s and much like that, forget doing anything useful, this bad boy is loaded with retro computer games. Monty Mole and Hawkeye as well as many others. If you do want to do more than play games however, you can use this as a functional computer. There’s no price yet and it’s not expected until 2018 but these things sell out fast.